At Treasure Coast Window Fashions serving Jensen Beach, many of our customers enjoy the conveniences technology brings. However, we’ve discovered that many of them aren’t aware that technology applies to window treatments too. Hunter Douglas, the leader in window treatment innovations, can take your home up a notch with its innovative offerings. Innovation drives Hunter Douglas by thinking of new ways to solve challenges through creating new and proprietary window coverings. Our Hunter Douglas window products add unique luxury and style to any room while also providing advanced solutions to everyday needs, such as managing light, insulating the window, child safety, sound absorption, and motorization technology. Read on to learn more! The Palm Beach Polysatin Shutters are unique because they are engineered from high-performing These shutters also come with an industry-exclusive promise that they will never crack, fade, warp, chip, discolor, or peel. The Hub. Allows you to connect wirelessly to your WiFi network. It’s where you control all your home’s PowerView window treatments, your settings, and scene activation. The PowerView Repeater. Allows you to extend the signal range of the Hub so commands can be made throughout the house. The PowerView App. 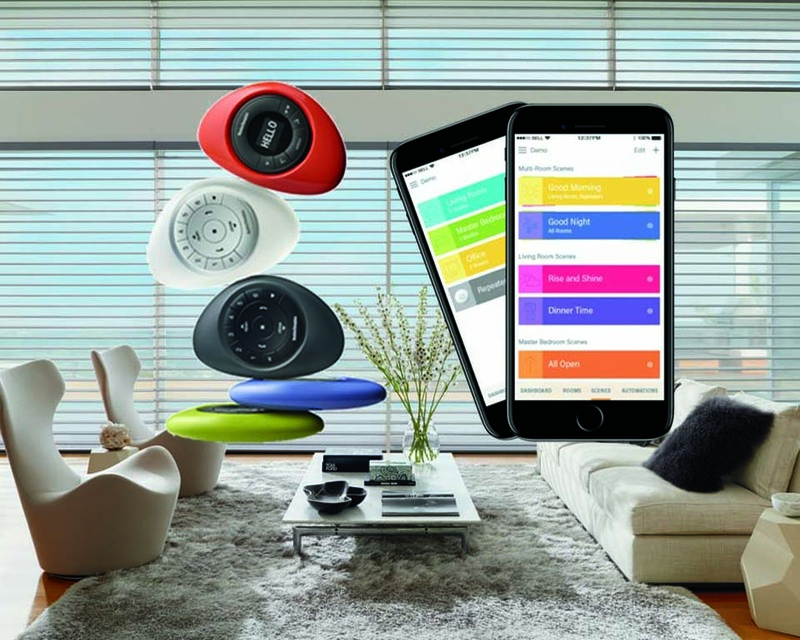 Allows you to release the full potential that PowerView Motorization has to offer. With your mobile device or tablet, you can control your blinds or shades with a touch of a finger or create customized “scenes” to operate on their own throughout the day. You can download this app on Apple IOD devices 10.0 or later Android devices 4.4 or later. The Remote Connect™ Feature. Allows you to operate your blinds or shades from anywhere in the world using your mobile device or tablet. Best of All – Safety. PowerView Motorization, with its cordless operation, provides a safe environment for your children and pets. So, what are you waiting for? Let Hunter Douglas window fashions and PowerView Motorization transform your home into a world of automation by adding convenience and enhanced child and pet safety. Plus, it’s fun to show it off to your friends and family.